Adventures In Writerland: I've been tagged! Follow me through my adventures in writing YA. Unfortunately as soon as I was tagged I ended up sick, then my modem and router died, and finally a busy schedule got in the way, so this is a bit late. But better late than never! I love things like this. So much fun to talk about our manuscripts. The working title has always been Barely There. I can't remember exactly when I got the idea that it would be called that, but I know it was fairly soon after I came up with the idea. The idea came from Phoebe, the main character. She sort of just appeared in my head claiming she'd been killed and suddenly it was up to me to figure out the how, what, and why. It took me a while and all three of those questions changed a few times before I settled on the right combination. Barely There is a young adult paranormal. Oh, this is one of the first things I do when I outline my manuscripts. I come up with the characters while I'm outlining and I make up characters sheets. Then I poke around on IMDb for actors and actresses that most resemble the characters in my mind. It makes it easy when visualizing and describing them. So here is the main cast and the links are to their profiles on IMDb. After learning her afterlife might not be what she hoped and her death wasn't accidental after all, seventeen-year-old Phoebe Price turns down her only chance to crossover to stop her killer - leaving her an earthbound ghost. I would love to have an agent represent this one, but I also am not opposed to going the indie-publishing route either. I highly doubt I'll do the self-publishing route. Everything that goes into that scares me half to death. There's just so much I don't understand about formatting to the point that my nerves go berserk just thinking about going that route. Ah, this is a trick question. Which first draft? lol Okay, so I started writing this at end October of 2010. Then I suddenly decided to do NaNoWriMo that year and did a different story leaving this one with only a few chapters written. I returned to it in January of 2011, but then I ended up hurting my hand and was in a partial cast for weeks. No writing for a while. I picked it back up that summer, but hit a road block with the plot around the seventh chapter. I was attempting to write the pantser way. In September of 2011 I trashed everything I had previously written and outlined the heck out of the story, and changed how Phoebe was killed and who killed her. That October I wrote the entire first draft (based on the new outline) NaNo style. It took me a little over three weeks to have it completed. Once I had a solid outline the story flowed nicely. 8) What other books would you compare this story to in your genre? That's a great question. I'm not exactly sure which books I would compare it to. I don't really read many stories with ghosts in them. I really do like Kim Harrington's The Dead and the Buried. But Barely There isn't as much of a mystery and the ghost is the protagonist. 9) What else about your book might pique the reader's interest? Phoebe was relentlessly tormented by one girl since Kindergarten, and she's the only one who can see Phoebe as a ghost. So the tormented becomes the tormentor for a little. I had a lot of fun writing that part. I also thought I would add a few pictures from my trip to San Angelo, Texas where this story takes place. 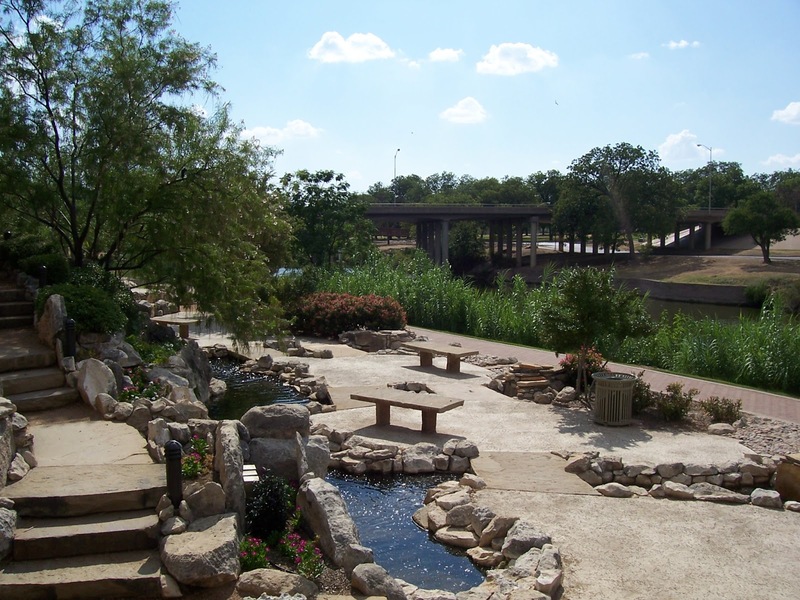 This is the Concho River from the Visitor's Center. 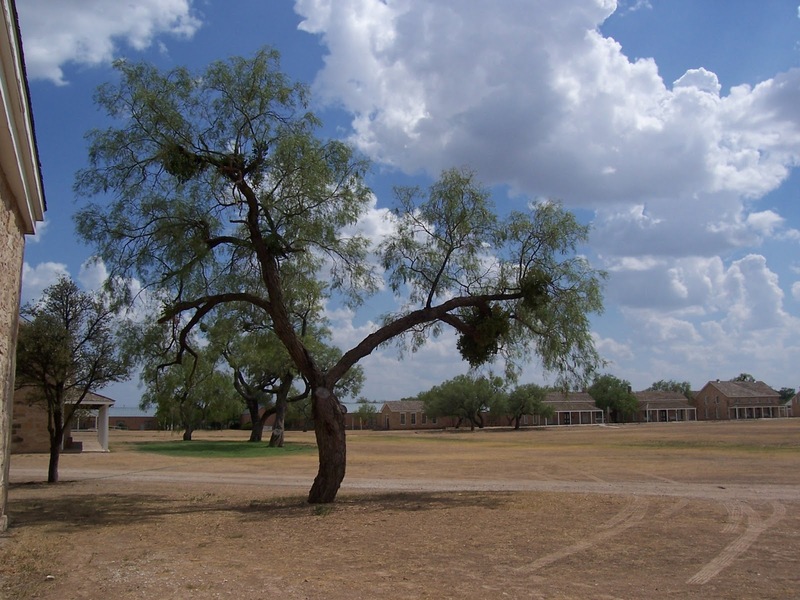 This is Fort Concho where Phoebe and Fin make their home. 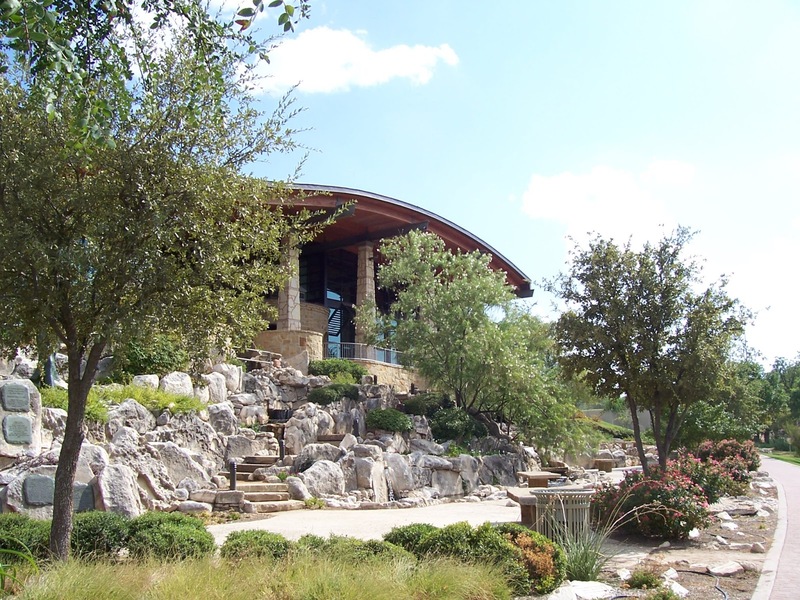 This is a view of the Visitor's Center from the river side. Now for the tagging! I decided to go with some of my lovely critique partners this time around. As of April 2011 all pictures featured on this blog will be products of In Natural Light Photography and can be found at http://www.flickr.com/photos/alreich/.